• The Air Jordan VI may hold a special place in Michael's heart. His Airness won his first NBA championship, he captured the second of his five MVP trophies in it, and he won the scoring title—all the IV. One of its distinctive design cues was the rubber tongue, which made the sneaker super-comfortable. 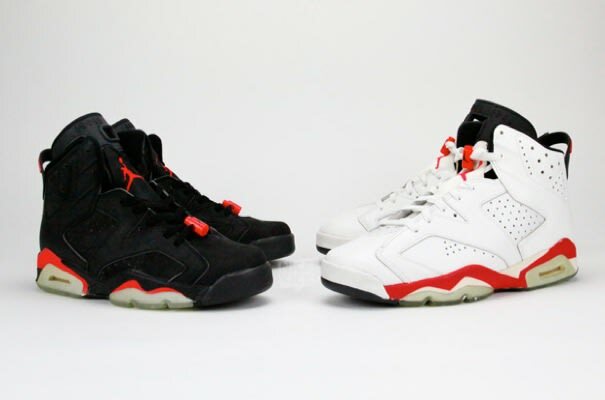 This shoe also released in some spectacular colorways, including the "Infrareds" and the "Carmines."